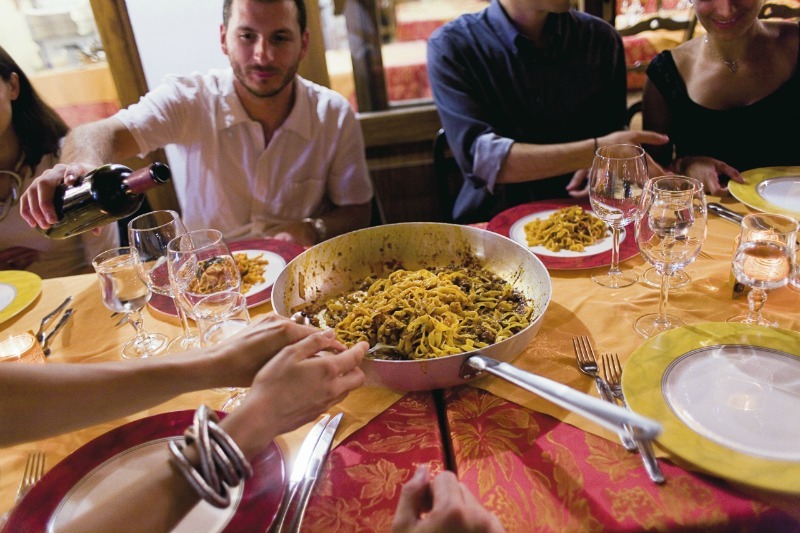 A reader recently suggested that I should have included a tour of Bologna’s typical osterie in my round-up of the top ten things to do on a first-time visit in the Emilia-Romagna capital. The reader raised a good point: the classic Bolognese osteria, often tucked away under a portico, with a simple yet charming décor, excellent local cuisine and affordable prices, recalls that spirit of conviviality and joviality that is so typical of Bologna, and the idea of an evening spent chatting amiably with friends while eating and drinking good, simple, local food and wine. It would be hard to pinpoint which osterie not to miss in Bologna because there are so many and it often depends on personal tastes (and, I believe, the memories you have of a certain place), but here are six that are particularly popular among the Bolognesi, and therefore a good place to start! 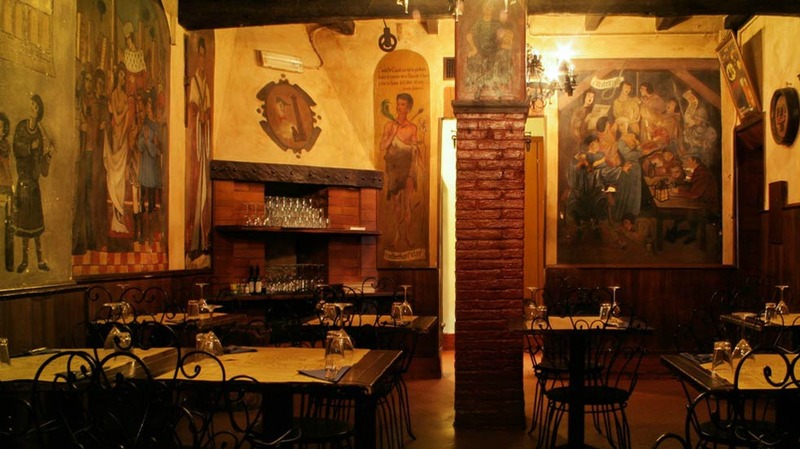 It would not be easy to spot if it wasn’t for the crowds normally spilling out of this lively osteria in the heart of the medieval Quadrilatero area. Osteria del Sole dates back to 1465. A sign on the entrance door only says “vino”, and wine (and some beer) is all they serve here as there is no kitchen; customers are more than welcome to bring their own food – which they do – and feast at one of the wooden tables. Open all day, it closes rather early for Bologna’s standards, around 10 pm. With a quaint and warm atmosphere, it is one of the few places in the city center that makes good crescentine, a Bolognese specialty (fried dough to be eaten with cold cuts and soft cheese like stracchino or squacquerone). Lots of choices on the menu (among the pastas, I suggest you try the artichoke tortelli), reasonable prices, generous portions. Highly recommended, best to reserve, especially if going on a weekend. Easy to miss if you are walking by and don’t know that it’s there, this underground locale has a beautiful setting, with wine barrels, brick ceiling, and an original fireplace and pit from the 1600s. 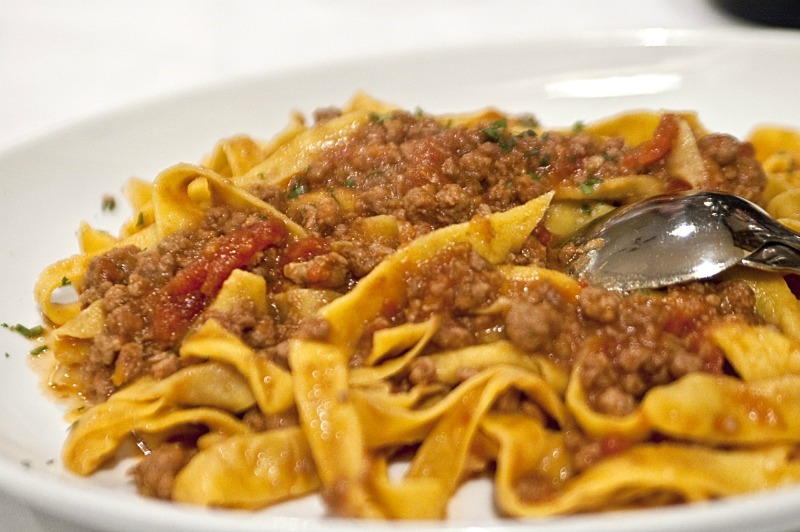 Classic Bolognese cuisine. They can boast some pretty famous celebrities stopping by, including Brad Pitt and Angelina Jolie and U2. Pricier than other osterie, but worth the experience. Where: Via dei Poeti 1/b. Right in the heart of the university district, this no-pretense osteria, open every day from noon to midnight, is a favorite hangout of – you guessed it – university students, who come for the good food, mostly classic regional fare, and affordable prices. One of Bologna’s most famous osterie, it serves typical Bolognese fare. Start with appetizers to share, and make sure you leave room for dessert, when they bring out trays upon trays of delicious sweets, like salame al cioccolato and mascarpone. Unlike most osterie, I find this one to be a bit overpriced. 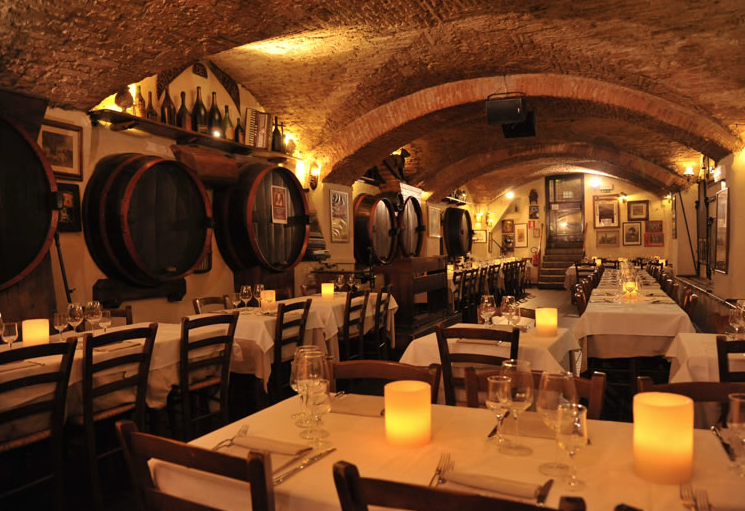 Good food and live music are on the menu at this classic Bolognese osteria housed inside a building dating back to the 13th century. Four rooms recreating the style of the ancient palace, each with different characteristics depending on the occasion, classic Emilia-Romagna fare and a welcoming atmosphere make this a perfect place for a fun night out with friends. I know I’ve left many good ones out, so if you’re reading this and feeling there’s one that should absolutely be on this list, please tell me in the comments below! Great, glad to be helpful!! Let me know which is your favorite! Sounds fun to go to one of these osteria! Very interesting article and good suggestions! Thank you for all of these recommendations! We are traveling with our 3 teenage children. Can you suggest which might be most fun for them? Are these still your top picks? Making a list for my May visit – drooling!